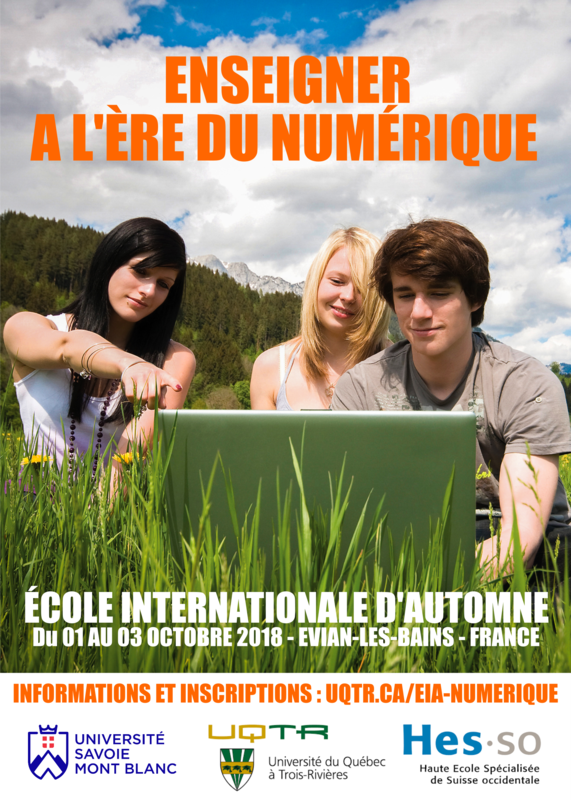 From 1 to 03 October the second session of the international school of autumn (EIA) "teaching in the digital age" will take place at the Palais Lumière in Evian-les-Bains. The international autumn school is organized jointly by the Université Savoie Mont Blanc (USMB), the University of Western Switzerland (HES-SO) and the University of Quebec in Trois-Rivières (UQTR), as part of the partnership within the framework of the RELIEF network (network of exchanges and links between francophone higher education institutions). In a local context around the student project, this 2nd session of the EIA proposes to address the influence of digital from the angle of motivation. It will thus begin this reflection: can support on digital help to develop the motivation of the student and the student to learn? The commitment of the students is a real challenge for the teaching teams. The challenge is to show how digital can sustain motivation so as to push everyone towards "self-fulfillment in the commitment of others." (Maslow 2008). Savoie Mont Blanc University (USMB), University of Quebec in Trois-Rivières (UQTR), the High specialized school of Western Switzerland (HES-SO) and theInternational Institute of ingeniusof water and the environment at Burkin Burkina Faso (2iE) organize their 4th international summer school on renewable energies. 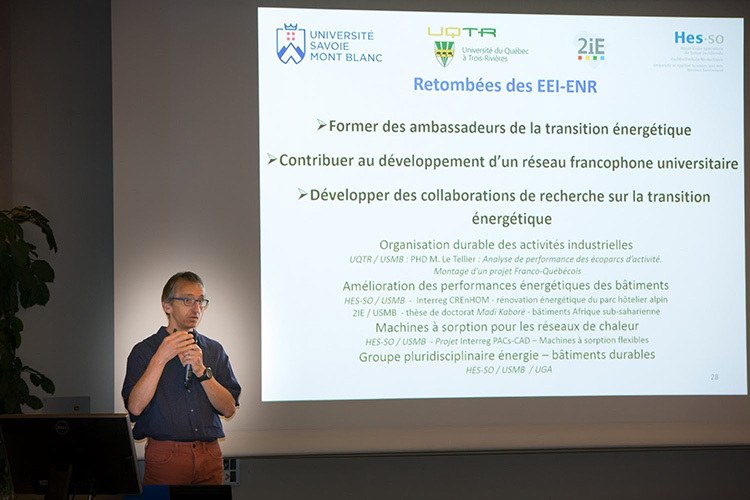 Born in 2015, this international summer school program on renewable energies (EIA-ENR) is a training project aimed at creating a Francophone Centre of excellence on renewable energies, focused on applied research and development. 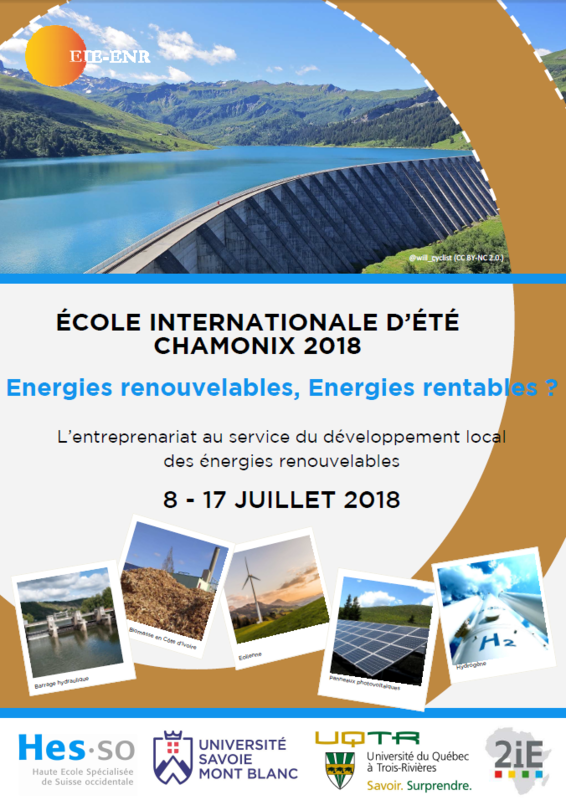 The 2018 Edition to be held in Chamonix will address these energies through entrepreneurship. From 8 to 17 July 2018, participants will be responsible for developing business creation projects in groups to contribute to the development of renewable energies in North American, European or African. During the 9 days of the summer school the participants will attend conferences-workshops on the energy transition (climate, economic and societal issues), renewable energies (from solar to hydropower by passing biomass and geothermal), the management of intermittent (network and storage) as well as the management and uses of energy (building, transport and industry). They will also be trained in creative techniques and entrepreneurship. An important part of the school will be dedicated to project-based learning in which participants will be responsible for developing an entrepreneurship project in a group that contributes to the local development of renewable energies. All activities will be carried out under the supervision, facilitation and evaluation of international Francophone experts. To download the full program, click on the photos. The summer school is open to postgraduate students (PhD or master's degree) from training courses such as engineering, management, economics and business administration. The school is also aimed at professionals and stakeholders in the Government and business circles of francophone countries. The working language will be the FRENCH. Participation in the international summer school will allow students to obtain 3 ECTS. All inclusive package (courses, accommodation, meals, excursions): €600. Students from UQTR, USMB, HES-SO and 2IE will be eligible for a preferential rate (€300). Online registration before 31 May 2018. 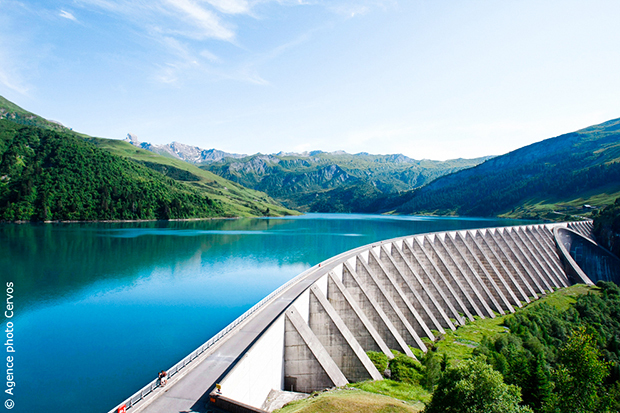 The Savoie Mont Blanc University, theUniversity of Quebec in Trois-Rivières (UQTR), the Specialized high school in Western Switzerland, (HES-SO), and theInternational Institute of water and environmental engineering (2IE) organized, at the end of August, their third international summer school on renewable energies (EIA-ENR), in sion (Valais) in Switzerland. This summer school aims every year to identify elements of reflection and decision in the light of the successes achieved in the regions and countries of the organising universities and elsewhere in the world, to raise various issues that will mark the next Decade and to suggest elements of response. It is open to young researchers, decision-makers, professional. the. s and speakers of Government and business circles. Since 2015, the Savoie Mont Blanc University, theUniversity of Quebec in Trois-Rivières (UQTR), the Specialized high school in Western Switzerland, (HES-SO), and theInternational Institute of water and environmental engineering (2IE) organize annually an international summer school on renewable energies in a different city. The first was held in Evian-les-Bains in France, the second in Shawinigan, Canada, and the very last was held in Sion, Switzerland. This summer, more than 40 participants from France, Canada, Gabon, Burkina Faso and Switzerland met. e. s to discuss the latest innovations in the field of renewable energies as well as to live a multidisciplinary and multicultural experience. 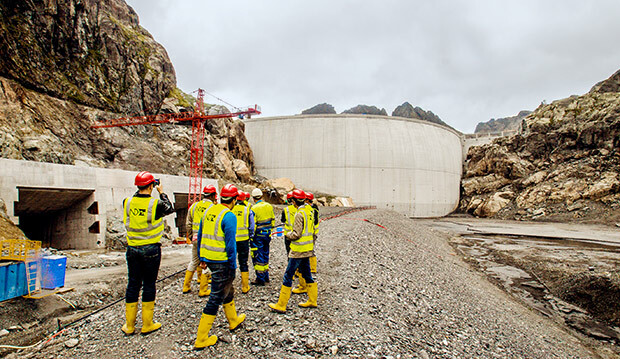 During these 10 days of activities, the participants had the opportunity to deepen their knowledge through workshops, practical work, lectures and visits to the facilities of the Valais, leader of the development of sources renewable energies in Switzerland. 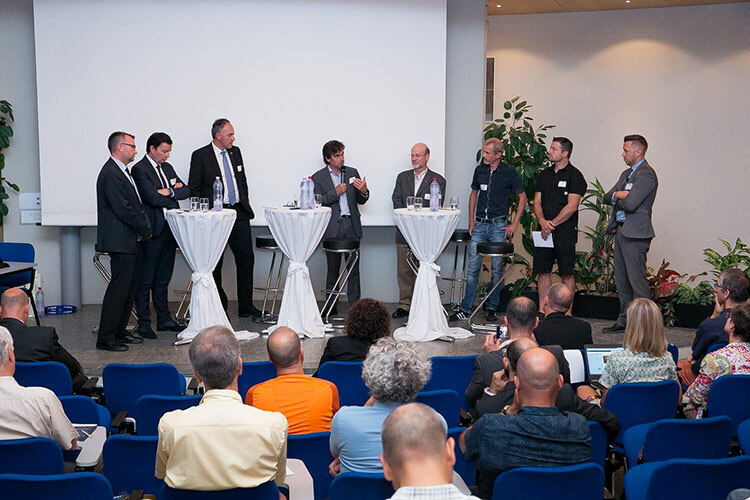 Some 100 people, representatives of the industrial, academic and political circles, participated in the thematic day on energy transition, organized by HES-SO and the HES-SO Valais-Wallis in the framework of this international summer school. Various ways of achieving better energy efficiency for a sustainable transition have been addressed by several stakeholders. e.s. 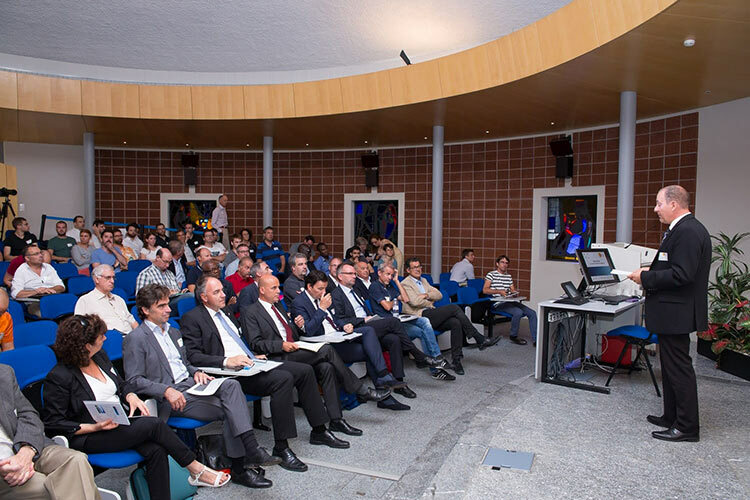 The aim of this event was to open the EIA-ENR to a non-academic public, to confront the viewpoints and concerns of the various actors in order to ensure the best energy future. With its success of 2015, the international summer school on renewable energies is back for a second consecutive year with a theme of the most current: "renewable energies, profitable energies"? THEUniversity of Quebec in Trois-Rivières (UQTR), the HES-SO specialized high school in Western Switzerland (HES-SO), the Savoie Mont-Blanc University (USMB) and theInternational Institute of water and environmental engineering (2iE) have made an appointment to several experts from France, Switzerland, Quebec and Africa at the Digihub in Shawinigan (Quebec, Canada), from 14 or 24 August 2016, in order to share with the participants their most up-to-date knowledge on the topics storage and network, biomass, hydro, solar, hydrogen, building and energy renovation. The international summer school allows students, researchers, decision-makers, professionals, public and business stakeholders to interact with international experts (Switzerland, France, Quebec and Africa) to draw inspiration from best practices in each country and to develop a new approach to energy issues. For nearly 10 days, academics and experts will be led to reflect with students on various topics such as: hydropower, biomass, hydrogen, solar and energy efficiency of buildings, etc. The analysis of these different themes will be addressed both by technical analysis as well as societal and economic issues. On the programme: conferences, workshops, group work, practical work, site visits, etc. New this year, the programming will include a mainstream component. The citizens of the city of Shawinigan and la Mauricie will be invited to a dinner with the participants of the international summer school, a thematic Conference on Québec's energy policy and a roundtable discussion on energy policies of the four countries in attendance. The team presenting the best forestry and regional biorefinery project will be invited to the workshop "mobilization of forest biomass supply chains for bioenergy, biofuels and Bioproducts: challenges and opportunities" organized by the BioFuelNet forestry task force and theInternational Energy Agency bioenergy task 43, september 22, 2016 at theUniversity of British Columbia (Vancouver). Savoie Mont Blanc University, UQTR, University of Quebec in Trois-Rivières and the HES-SO, high school specialized in Western Switzerland organized in Evian-les-Bains, from 27 August to 5 september 2015, an international summer school on renewable energies with the theme: Renewable energies, profitable energies? For nearly 10 days, academics and experts shared with students on various topics such as: hydropower, biomass, hydrogen, solar and energy efficiency of buildings, etc. 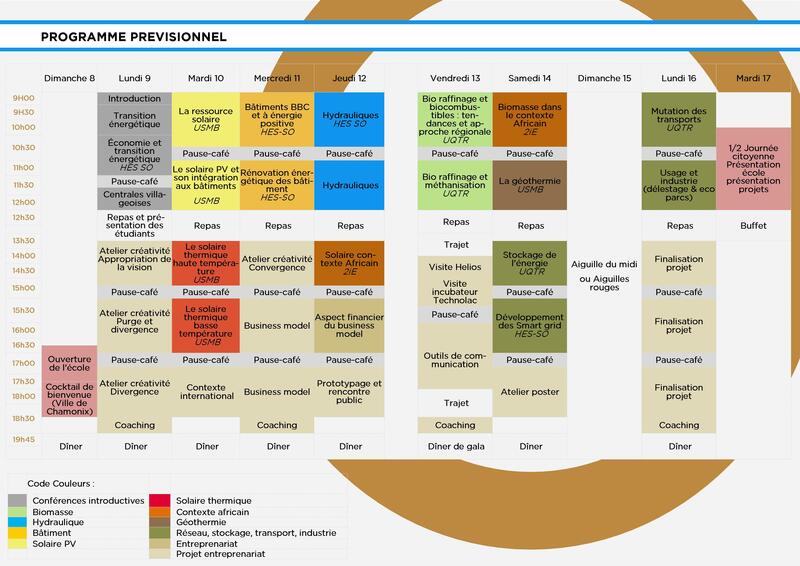 The analysis of these different themes has been seen both by technical analysis and by societal and economic issues. At 372 m above sea level, Lake Geneva, the largest of the lakes in Western Europe, is a glacial-origin (former Rhone glacier). A trait of Union between France and Switzerland, it has a temperate climate favourable to southern vegetation. With a maximum depth of 315 m, its restoration since the years 1980 has prevented its eutrophication and its degradation. It is currently home to the most southern Arctic char population in Europe. Nestled between Lake and mountains, Evian-les-Bains enjoys an exceptional natural environment, which has given it its fame as an international tourist and thermal resort. 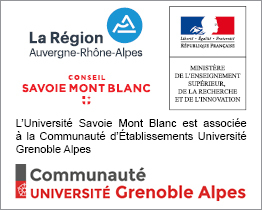 Savoie Mont Blanc University celebrates the Francophonie!